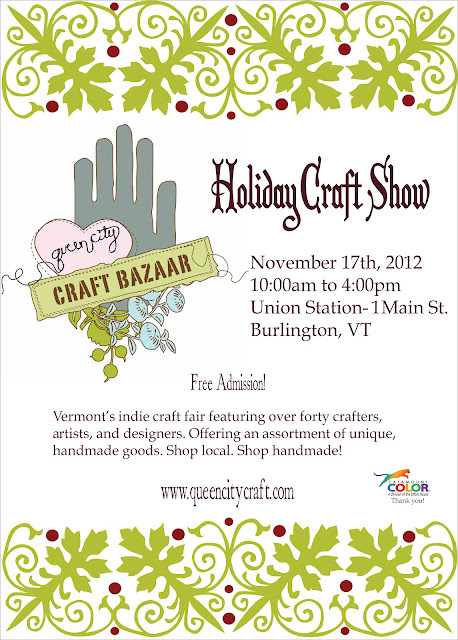 Tomorrow will be my first craft show in Vermont! I'll be at the Queen City Craft Bazaar in Burlington from 10 am to 4 pm. If you are in the area, come say hi! I'll be carving a few blocks at the booth if you want to see how it's done. See you there!